There’s no need to be shy, you can share your blogs and wikis on Kibela! 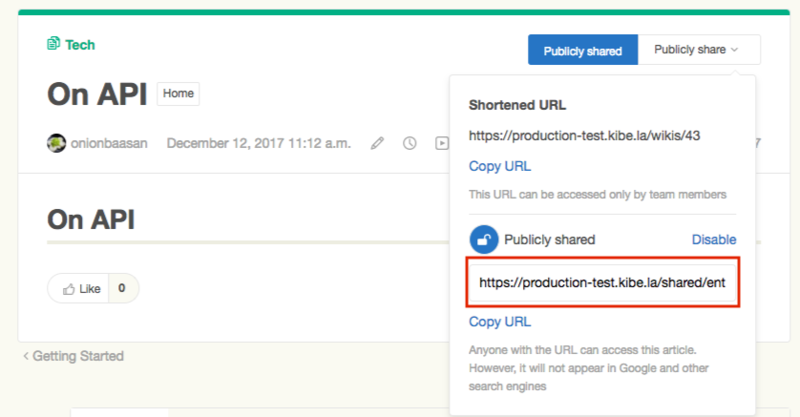 Now you can share the shortened URL with anyone outside of your team’s Kibela account! Note that it will not be indexed by Google and other search engines. You can always view which articles have been shared from the URL below.